Where Can I Find the Galaxy Tab 10.1 Trash Can / Recycle Bin? 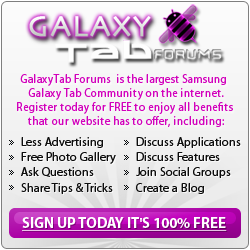 Thread: Where Can I Find the Galaxy Tab 10.1 Trash Can / Recycle Bin? Where can i find the trash can or recycle bin to remove unwanted pictutres permanently? I did the usual delete however when i installed an app, some how the apps was able to recall all the unwanted pictures i deleted weeks ago! Last edited by juliusosk; 12-04-2011 at 03:21 PM. I urgently look for the recycle bin also, any idea? To avoid any possibility of confusion, there is no recycle bin on any Android device. Deleted files, once deleted cannot be recovered. Sorry, but unless you have a backup or in the case of photos have them in the cloud somewhere (like Dropbox, Picassa or whatever), they are not recoverable. Agree, there's no recycle bin there!